Dignity / Dignidad is a film about strategies of recuperation in times of crisis. Recuperation, in a literal sense, means the recovery or regaining of something. The film focuses on “La Dignidad,” a residential building in Mostoles, a suburb of Madrid. The building was constructed during the real-estate boom but never occupied after the property market collapsed following the Spanish financial crisis starting in 2008. Housing activists from Stop Desahucios (Stop Evictions) in Mostoles took over the building in June 2014, and christened it “La Dignidad.” The activists made the decision to take over the building when they realized that more and more people coming to the weekly housing assemblies were either already homeless or were about to be evicted the following week. There are fifty people, individuals, and families, currently living in “La Dignidad,” 18 are children under the ages of 10. LA CHAMBRE BLANCHE is pleased to invite you for a talk by Canadian-Mexican artist Michelle Teran, who is currently artist-in-residence. 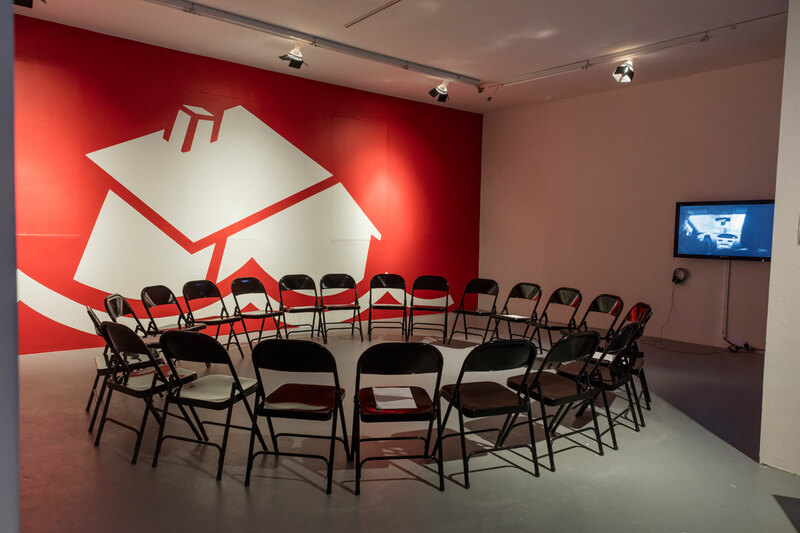 “Mortgaged Lives” examines the experience of rupture, through the loss of a home, within the Spanish eviction crisis.